A MYSTERY OF THE FELLS! 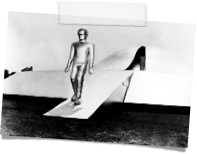 a report of a cigar-shaped flying machine over the Lakeland fells near Ambleside at midnight on Friday remains unsolved after an extensive mountain search at the week-end. A Bradford man and his girl friend, who were staying at the C.H.A, Hostel at Loughrigg Brow, Ambleside, called in the police after sighting a “cigar shaped object” flying low over Loughrigg Fell. The strange craft disappeared and the couple saw a cloud of smoke half a mile away across the fell. Miss Petherick was taken back to the hostel in a state of shock, whrIe Mr, Dean caned in the police. A search was immediately made of the surrounding hills and the Keswick Mountain Rescue team and an RA.F, search team, who were camping in the vicinity, continued to comb the fells during the weekend, but without success. On Tuesday Mr, John Wyatt, the Lake District National Park warden, made an individual dual search on Blea Rigg between Easedale and the Langdale Pikes, not far from where the machine was seen. Mr. Wyatt spent some time in the area but could not find anything unusual. A party of voluntary wardens, who are doing a footpath survey in the Grasmere district this week-end, will also make a thorough search in the Loughrigg area. 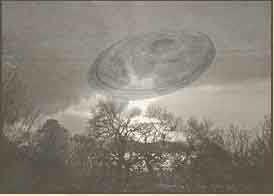 This is the third report of mysterious flying machines in the Lake District The first was made by Stephen Darbishire, of Coniston, then a 13-years-old schoolboy who claimed he had seen a “flying saucer” land on Monk Coniston Moor, and he supported this claim with a photograph.